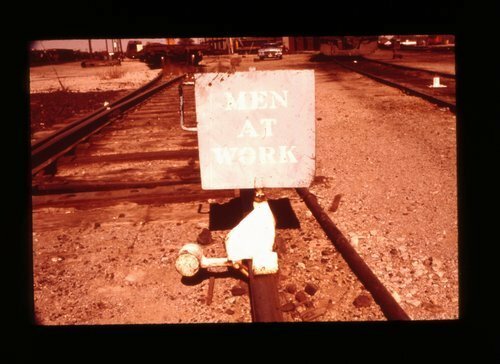 A slide of an ATSF track that has been "blue flagged" as out of service. The sign says MEN AT WORK. Supposedly, this flag/sign could only be removed by the employee who placed it there.